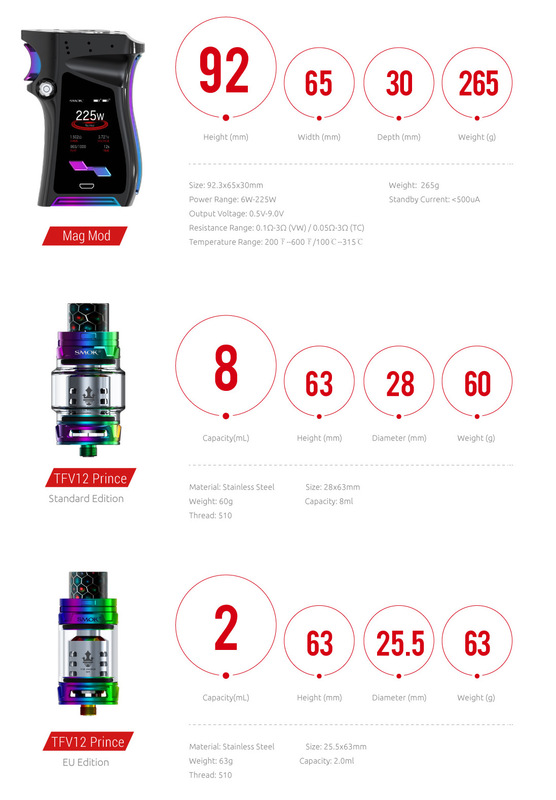 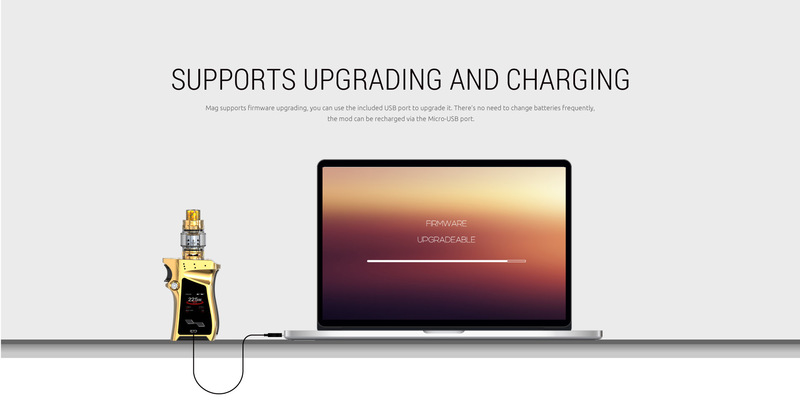 The all-new Mag Kit combines the popular and powerful TFV12 Prince tank , a dual 18650 temp control box mod. 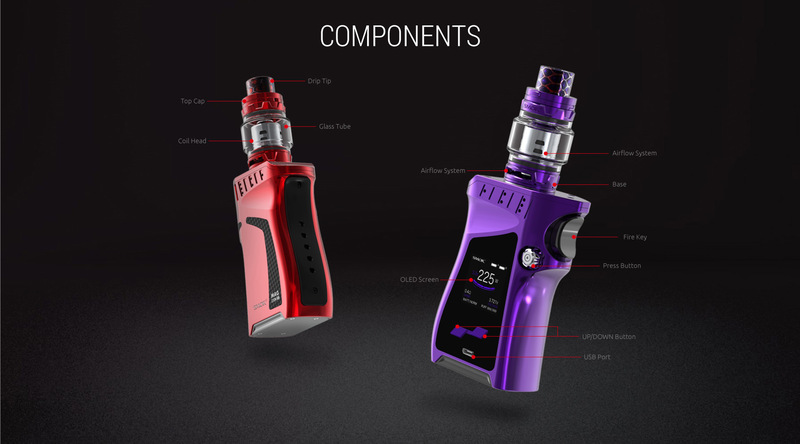 The device features a 6 colors screen setting and flower-shaped button for battery installation, lock and load! 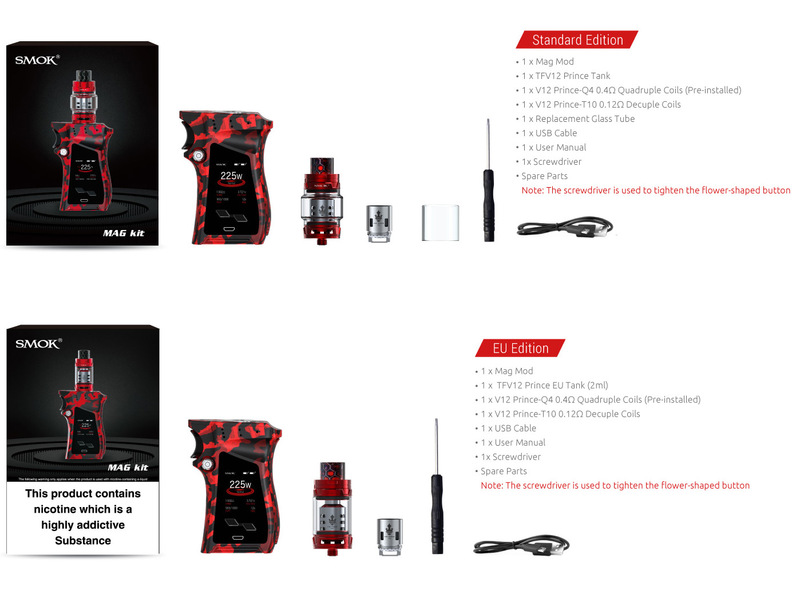 This kit includes the TFV12 Prince tank.